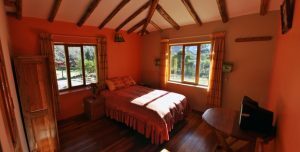 Tunupa Lodge is an elegant, luxurious hotel located about 3 minutes walk from the train station to Machu Picchu, a perfect stopover when traveling from Cusco to Machu Picchu. 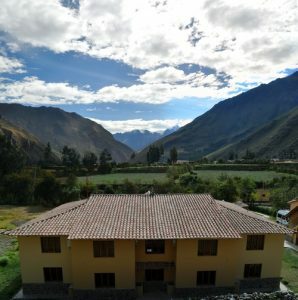 We are centrally located within the town of Ollantaytambo, making our hotel an ideal place to explore the town and the Sacred Valley, or to start your journey on the Inca Trail. 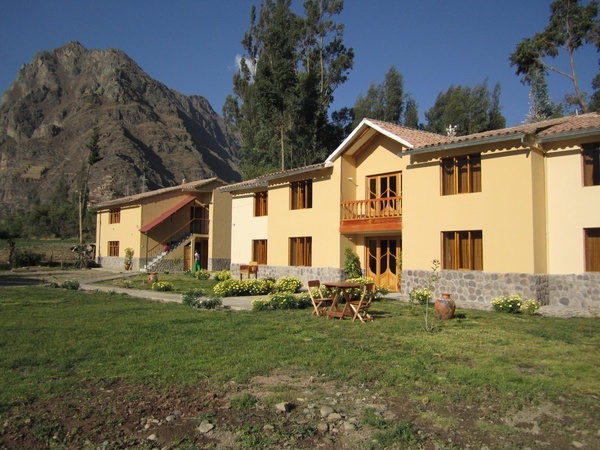 Our peaceful, gorgeous grounds and first-class services will ensure that your stay in Ollantaytambo will be unforgettable. 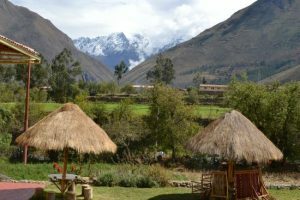 Tunupa Lodge is perfectly situated to enjoy a stunning panaromic view of the ceremonial Incan fortress of Ollantaytambo, the ruins of Pinkuylluna, the glaciered Mt. Veronica, Incan terraces and the surrounding mountains. 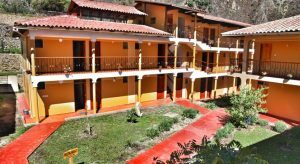 The hotel occupies a 5000 m2 plot of land that includes spacious lawns, gardens, Incan terraces and a convenient parking area. The premises is pleasantly separated from the traffic — it’s almost possible to hear the sun set over the glacier. Our rooms are recently constructed with modern methods while maintaining a classic feeling of luxury. All rooms come with private bathrooms, hot showers, comfortable beds, free breakfast and first-class service. Each room has a unique and brilliant view of the region.